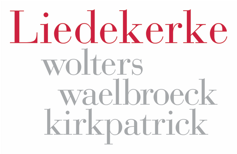 Founded in Brussels in 1965, Liedekerke was one of the few players in the Belgian market to resist the trend of integration with Anglo-American law firms in the early 2000s. It has remained independent ever since, making the disputes team less hampered by conflicts of interest than some of their competitors. Liedekerke got into international disputes at an early stage. In 1970, two of the founding partners, John Kirkpatrick and Michel Waelbroeck, represented Belgium before the International Court of Justice in the landmark Barcelona Traction case concerning protection of foreign shareholders. The firm has developed a strong focus on francophone Africa and handles arbitrations for various companies and governments in the region. It’s also been involved in some of the biggest enforcement proceedings to have reached the Belgian courts in recent years, including the Yukos case against Russia. Liedekerke is one of the few Belgian firms that also acts in foreign court proceedings including in France, Canada and the UK. Recently there has been major upheaval at the firm. Head of litigation and arbitration Hakim Boularbah left with a team of associates to join Loyens & Loeff and the head of public international law, Nicolas Angelet, decided to set up his own independent practice. The litigation and arbitration practice is now lead by Arnaud Nuyts, who has been at the firm for almost three decades. There will be no immediate replacement for the head of public international law but Nuyts will continue to work alongside partners Aimery De Schoutheete and Roel Fransis in the arbitration team. While the arbitration team is based in Brussels, Liedekerke benefits from an office in Kinshasa in the Democratic Republic of the Congo, which opened in 2015, and another in London. Although it has no base there the firm is also involved in a number of disputes involving Middle Eastern parties. The firm’s government clients include Belgium, Burundi and the Democratic Republic of the Congo, whose national mining company Gécamines regularly uses it for commercial arbitrations. Kazakhstan is another high-profile client. Besides the Yukos shareholders, its private clients include Lebanon’s Consolidated Contractors Company, and Belgian export credit agency Credendo. Together with Foley Hoag, the firm helped Belgium see off a €1 billion ICSID claim brought by a Chinese shareholder in Fortis financial services group in the wake of the 2008 global financial crisis. The case was thrown out on jurisdictional grounds in 2015. It has had several wins for the DRC. In one case, it defeated a US$150 million claim by the Congolese subsidiary of a US grain dealer in a Zurich-seated arbitration at the Swiss Chambers’ Arbitration Institution. Liedekerke also knocked out the vast majority of a US$750 million ICC claim by another US investor. Defending Burundi, the firm reduced a US$14 million ICSID claim to an award of just US$209,000 plus interest against the state in 2016 – half of what the claimant spent in bringing the case. Liedekerke was successful in having attachments on more than US$22 billion in assets owned by a Kazakhstan sovereign wealth fund lifted by a Belgian court. The court concluded that it would be sufficient to maintain a freeze on US$520 million, the full amount of the Energy Charter Treaty award held against Kazakhstan by Moldovan investors Anatolie and Gabriel Stati. The firm also helped the Panama Canal Authority enforce an ICC award in Belgium against a Belgian dredging group. Other work has come advising the government of Wallonia, a French-speaking region of Belgium that refused to ratify the Canada-European Union free trade deal. The Liedekerke lawyers have helped the government draft a request to the European Court of Justice asking for clarity on whether the deal’s proposal for an investment court is compliant with EU law. A hearing before the European Court of Justice took place in 2018. Amid its various high level departures, senior attorney Pauline del Marmol returned to Liedekerke after a spell at Bredin Prat’s international arbitration team. Another client that used Liedekerke for enforcement of an award describes it as the best Belgian law firm they have worked with. The client says the firm provides “very good services in comparison with price” and that they have always been “very satisfied with the services provided”. Liedekerke is one of the largest independent law firms in Belgium. The firm has offices in Brussels and London, opened an office in the Democratic Republic of Congo in 2015 and is set to open an office in Kigali, Rwanda. Our International Arbitration and Dispute Resolution Practice focuses on high-stake, multi-jurisdictional disputes. The team represents clients in international arbitration proceedings governed by a wide range of applicable laws, both civil law and common law. Our lawyers have also been involved in some of the largest multi-jurisdiction enforcement proceedings in Belgium and abroad. They regularly provide assistance in foreign court proceedings, including in the UK, France, Canada, Greece and Lebanon. The team is recognized for its expertise in the coordination of cross-border proceedings. Our clients are national, foreign and multinational companies, active in various sectors including distribution, manufacturing, logistics, agribusiness, mining, oil and gas, food, and the media industry. We also regularly represent international organisations and sovereign States. Beyond Europe, Liedekerke has an in-depth knowledge of francophone Africa and the Middle East, and handles arbitrations for various companies and governments in these regions. Our lawyers have expertise in the local laws, including OHADA, the laws of the DRC, and the civil laws of Egypt, Lebanon, Qatar, Kuwait and the UAE. The team specifically handles mining arbitrations in francophone Africa, and assists clients in large construction disputes in the Middle East. We also represent clients in distribution contracts and post-acquisition disputes. A year on: what has been the impact of Belgian decision allowing third-party opposition to awards?